Thinking of upgrading to Swept Source OCT? There has never been a better time than now! This is an extremely rare opportunity to own a Topcon Triton Plus at a fraction of the new cost! Currently have an OCT? No problem! We take trade ins! Just let us know what you would like to trade in towards the purchase of this Triton to lower the already discounted price even further! 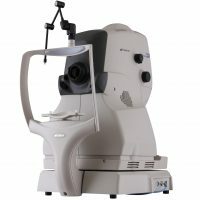 This is an extremely unique opportunity to provide a Topcon Triton Plus Demo unit that has seen very little floor space. Priced well below retail cost, this is a deal that will not last. Contact us today! The DRI OCT Triton features exceptionally easy image capture and a 1 micron, 1050 nm light source with a scanning speed of 100,000 A-scans/second. 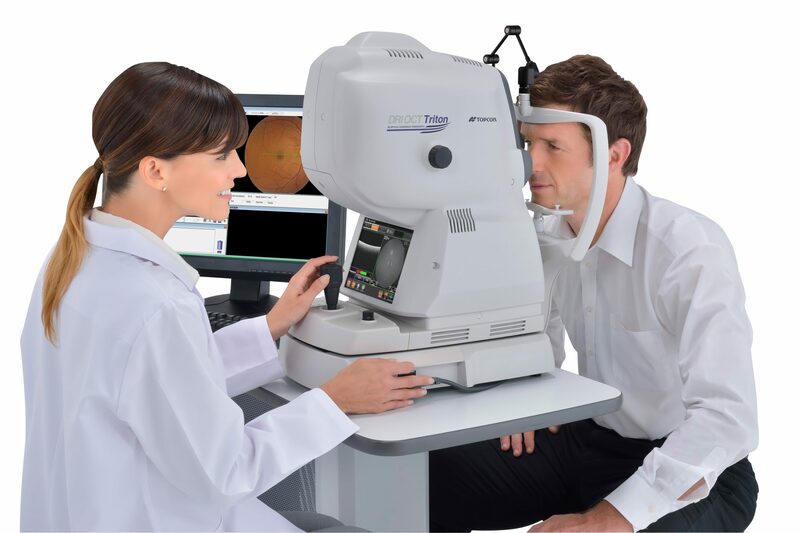 The multi-model instrument incorporates a built-in retinal camera, eye tracking during capture of selected scans, and combines Topcon's years of expertise in OCT imaging, color, red-free, FA and FAF imaging with the diagnostic power of Swept Source OCT. 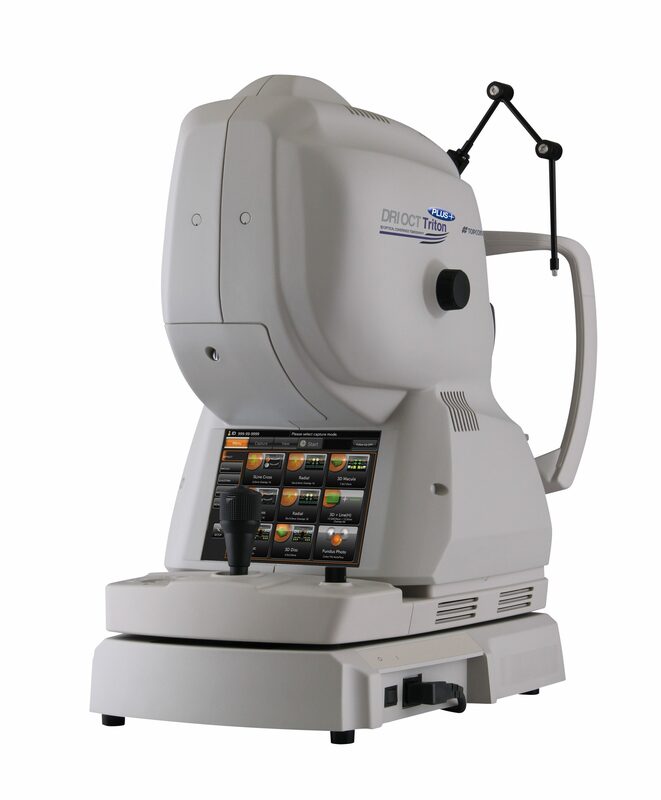 In addition to anterior segment scanning, the DRI OCT Triton can visualize deeper pathology, rapidly penetrating ocular tissues such as the choroid and even the sclera, without being obscured by media opacities or hemorrhage. The instantaneous capture of a high-density data cube, comprised of 512. B-scans, reduces interpolation between slices and allows the most revealing imagery. 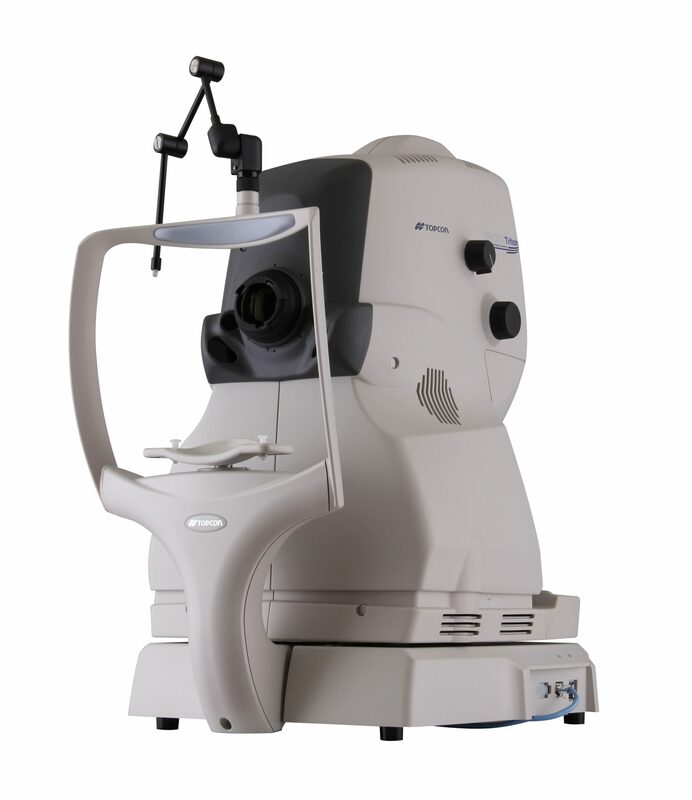 It displays high-resolution fundus images with clear retinal vessel and macular mapping to allow Pin-Point TM Registration of the deepest pathology. This unit includes: Table, One year Warranty and complimentary Installation and Training within the US.